Two suicide bombers who died in the Paris attacks and two men held in Austria for suspected links to the operation were all processed as migrants on a Greek island on the same day, a source close to the probe told AFP. Two suspects in the November 13 attacks were arrested over the weekend at a refugee centre in the western city of Salzburg after a tip-off from French police, said a separate source in Austria. The Austrian source said the men were Algerian and Pakistani. Fingerprint analysis has shown the suspects were processed among migrants arriving on the Greek island of Leros on October 3, according to a French source close to the investigation. Two of the three suicide bombers who blew themselves up outside the French national stadium on the night of the attacks were processed on Leros on the same day, the source said. The Stade de France bombings kicked off a night of horror in the French capital as jihadists hit a series of nightspots, killing 130 people and injuring 350. Seven attackers blew themselves up or were killed by police in the course of the evening, five of whom have been identified. 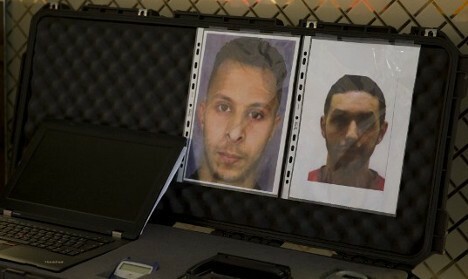 The two unidentified Stade de France attackers have been tracked back to two fake Syrian passports used to enter Europe. A suspected ringleader of the attacks, Belgian jihadist Abdelhamid Abaaoud, was killed in a police raid a few days later and suspected accomplices have been arrested in Belgium and Austria. Another jihadist, Salah Abdeslam, who was believed to have played a key logistical role in the attacks, has evaded police across Europe who have been hunting for him. A French police source said Abdeslam may have had links to the two men arrested in Austria, which he is known to have visited on September 9. The Salzburger Nachrichten daily on Thursday said investigators have reconstructed Abdeslam's journey in his hired Mercedes thanks to the car's anti-theft tracking device. The paper said he drove through Austria to the Hungarian-Serbian border, and was pulled over again on the return leg of the journey -- this time by police in the southern German state of Bavaria. 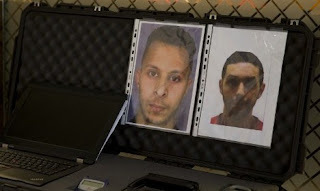 It said he picked up two men in Hungary -- Soufiane K. and Samir R. -- and that both had fake Belgian passports. Earlier this month, French sources said Abdeslam was in Hungary on September 17, meaning he may have made several trips in the run-up to the attacks.